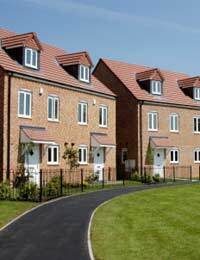 Home > Finding Homes > Are Housebuilders Offering Better First-time Buyer Deals? The demand from first-time buyers for mortgages is not being met by lenders because they don’t have an appetite to offer deals that only require a small deposit. Many first-time buyers find it impossible to get a mortgage if they need to put down a deposit of more than 10%.This has not only caused problems for first-time buyers but for house builders as well who are finding it hard to shift their properties. Why are House Builders offering First-Time Buyer Mortgages? Every year house builders will build a set amount of houses and sell these on in order to make a profit, they rely on mortgage lenders to offer potential buyers mortgages. Problems have occurred however because lenders’ appetite to lend to first-time buyers has dried up, which means the houses exist but they are not being bought. In a bid to offload some of their properties and make a profit a number of house builders and developers have teamed up with mortgage lenders to offer a range of schemes that will benefit those looking to get a foot on the housing ladder. There are two main types of deals that house builders are offering. Some developers are offering mortgages up to 95% loan-to-value, which means you will only need to put down a deposit of 5%. They will offer a rate of around 5.50 and 5.99% for a fixed period of say two years and then this will increase when the initial deal comes to an end. These types of deals are often in conjunction with local lenders such as building societies which will fund the mortgages. House builders are also offering other deals which bring the parents into the equation. In this scenario a house builder will have teamed up with a loan provider who will offer the parents of the first-time buyer a loan of up to 15% of the property’s value. All the first-time buyer will need is a 5% deposit. The parents will then pay the loan off for a fixed period of say 12 years. Most of the schemes offered by house builders are only offered to borrowers with a good credit rating and a clean credit history, so if you do not fall into this category you may have problems. The schemes are also only available exclusively to properties and developments that have been built by the house builder. This means you may not be able to choose your dream property, but instead make do with one that is part of the scheme. The properties on offer will normally be newly built homes, which although a lot of people find attractive they are not everybody’s preferred choice and you may not wish to purchase one. The mortgages will also only be offered on developments in certain areas, not all house builders will build properties in every corner of the UK, so you may find there are no available developments in your area. The schemes are relatively new, but if they are successful more house builders are likely to start offering the schemes, which means there will be a greater chance of one being offered in your area. If you think you might be interested in one of the schemes you should seek out some local housing developers in your area and see what kind of schemes they offer. There are very few high street lenders and building societies that are offering 95% deals to first-time buyers. To get a mortgage with such a high loan-to-value you will normally have to undergo some kind of shared ownership programme or go joint with your parents. House builders are showing innovation with these types of deals and if you can find one in your area it is a good way to get on the housing ladder if you cannot wait and save up a larger deposit.